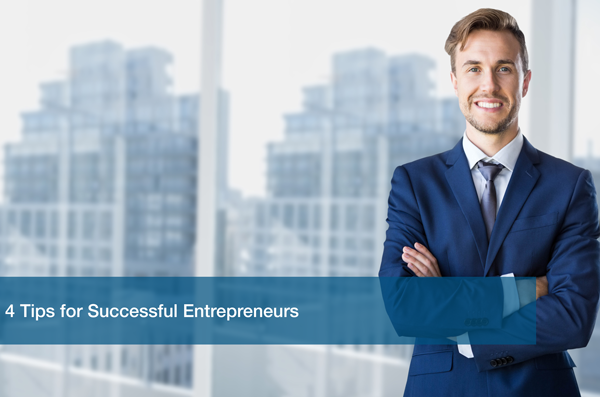 Successful entrepreneurs put in a lot of hard work and dedication. You have to be willing to put in the time and energy to get things done. Being successful doesn’t just mean building a company that makes a lot of money. True success is when you build a company that will have a lasting legacy and that puts their clients first. Our previous post talked about How to Effectively Organize Your Work Day to be more productive. This post will give you some things you can do to ensure that your company is on the right path to success. Remember that saying “If you do what you love you’ll never work a day in your life”? I can honestly say from experience that that is true. Find something that you are passionate about and go for it. Every day is going to feel like a chore if you are not doing what you care about. Find your vision and go after it. Then, find others who believe in that vision too and bring them on board. You can’t sell your product if you don’t believe in it. People can tell. Passions are easy to talk about anyway. Some entrepreneurs like finding people that think just like them. Others like bringing in people that challenge their own ideals. Finding the right fit might not be the easiest process because it might involve many interviews. But it is an essential one. You want to find people that also believe in the goals that you are trying to achieve at your company. I know my old bosses used to say that they wanted me to be proud to be working at their company. They didn’t want me to feel like I was just going in to work everyday to get a paycheck. Sometimes the right people will come to you. All you have to do is open the door for them and the creativity will flow. No one wants to receive negative reviews. They show that a person was unsatisfied with your service. You don’t want others to read that. But you can learn from them. Negative reviews are great sources of information for improvement. If the review said your time management was poor, get with your team to change that. Don’t let your employees just shut down because one person was not happy. Show them that it can be taken as constructive criticism so they can learn from their mistakes and do better next time. I’ve met many top entrepreneurs that take years planning projects and then end up never actually doing them. The planning process can be long and at times very time consuming. There is always a light at the end of the tunnel. That light is the possibility of growth and success. Set goals for yourself and for your company, and then work hard to actually achieve those goals. Don’t get stuck in an endless cycle of planning and not delivering. You want to show your clients that your company produces results. There are countless other tips and tricks that can help your company grow. These are just a few simple ones that you can start implementing to get you on the right path. Here at ITC we help local Austin businesses of any size grow their network of clients and opportunities. Schedule a Free IT Analysis today so we can help bring your company to new heights.